Some Children May Be Missing Out On Treatment For Hepatitis C : Shots - Health News Now that there are better treatments for hepatitis C in adults, doctors hope the drugs soon will be approved for use in children who were infected at birth. But many at-risk infants don't get tested. 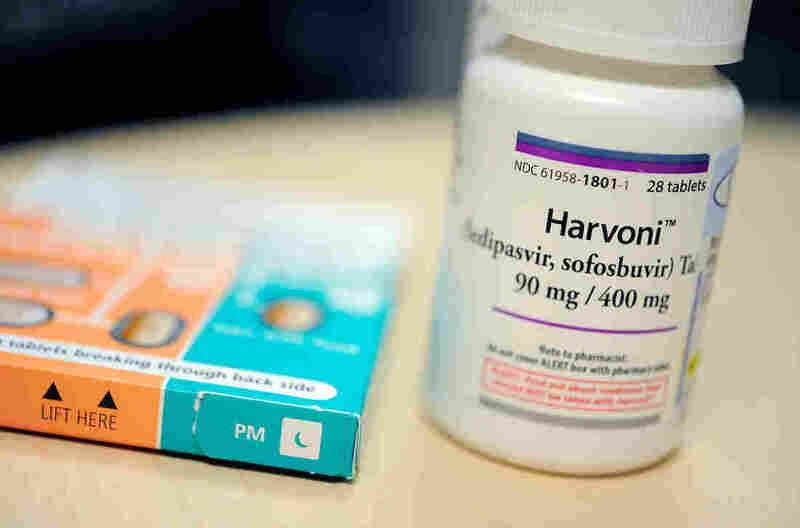 New drugs like Harvoni effectively cure hepatitis C, but they haven't yet been approved for use in children. "Sixteen percent is really low," says Danica Kuncio, lead author of the study. "When you think about children, you hope that the number would be 100 percent, that it should be in the interest of every provider to be doing the best they can to get information to the next provider." Kuncio, an epidemiologist with the city, worries that people who don't know they contracted hepatitis C as babies won't get the health care they need or realize they could spread the virus to others through blood-to-blood contact. It's a concern intensified by a rise in both injection drug use and hepatitis C among women of childbearing age, she said. "It's a call to arms to figure out how we can do this better," said Dr. Michael Narkewicz, who specializes in pediatric liver diseases and hepatitis C at the University of Colorado School of Medicine. But unlike HIV, which has safe and effective treatments that can dramatically reduce transmission of the virus from mother to child, "for hepatitis C, there are no treatments to prevent transmission in a mom or in a newborn," said Narkewicz. Hepatitis C in children may be lacking attention for another reason: perinatal transmission rates are a lot lower for hepatitis C compared with hepatitis B and HIV. For every 100 babies born to women with HCV, 5 to 7 will contract the virus. Of those who do get it, 30 to 40 percent will clear it on their own before the age of 2, said Narkewicz. That's why the current protocols for children exposed to HCV call for monitoring and then screening them at 18 months with an antibody test. But up to 15 percent of those born with HCV will develop a more aggressive form of the disease during adolescence, said Narkewicz, which can result in advanced fibrosis or liver scarring that can progress over time. "It's a small percentage, but it's still a real number," he said. The medical community really hasn't done a good job of projecting the costs and benefits of early identification and treatment in children, according to Dr. Ravi Jhaveri, a pediatrician at UNC Children's Hospital in Chapel Hill, N.C.
A lot of research issues related to mother-to-infant transmission have "fallen by the wayside," Javeri says, as doctors have focused on other aspects of HCV. "The old dogma was, why screen mothers if there's nothing to be done?" says Dr. Regino Gonzalez-Peralta, a pediatrician at the University of Florida Health System in Gainesville. He has been studying gaps in identifying children infected with hepatitis C and says that having new drugs to treat children will be a game changer. While drugs to prevent transmission are not yet available, there are promising developments. "Now [that] we've got drugs that potentially might be useful in preventing maternal-fetal transmission," says Gonzalez-Peralta, "this is going to become a hotter area." Another issue under debate is universal screening for the virus. Dr. Damien Croft, an obstetrician at Hahnemann University Hospital in Philadelphia, doesn't advocate it for everyone in the country. But he thinks it might be a good idea for his pool of patients. "There [are] enough women who are high risk for hepatitis C in Philadelphia that maybe we should consider doing that." Croft also thinks it's important to improve communication between obstetricians and pediatricians so the pediatrician will know which children are at higher risk for having hepatitis C and can recommend screening. In the meantime, Philadelphia's health department has begun working with health care providers and at-risk mothers in the city to improve the testing of infants born to women with hepatitis C, and when necessary, linking mother or child to specialists. This story is part of a reporting partnership with NPR, WHYY's health show, The Pulse, and Kaiser Health News.